Oklahoma Superintendent of Public Instruction Joy Hofmeister will be the featured guest at a forum sponsored by Oklahoma Watch on Tues., March 3. The “Oklahoma Watch-Out” forum will be held from 6 p.m. to 7 p.m. that Tuesday at Will Rogers Theatre, 4322 N. Western Ave., in Oklahoma City. Those interested in attending are encouraged to RSVP to events@oklahomawatch.org and come with questions. Since taking office in January, Hofmeister has initiated several changes in Oklahoma public schools, noting teachers as a top priority. She proposed a five-year plan to raise the state’s average teacher salary to the regional average. Her latest initiative, called “For the People: A Vision for Oklahoma Public Education,” asks legislators to help address the 800 teacher vacancies statewide. Other aspects of the initiative provide more personalized learning opportunities, after-school programs and public-private partnerships. Hofmeister was elected on Nov. 4 as Oklahoma’s 14th schools superintendent. A former public school teacher and small business owner, Hofmeister served on the Oklahoma State Board of Education from January 2012 through April 2013 as an appointee of Gov. Mary Fallin. In the private sector, Hofmeister spent 15 years operating Kumon Math & Reading Centers of south Tulsa, which works through parent partnerships to improve higher academic achievement for children. 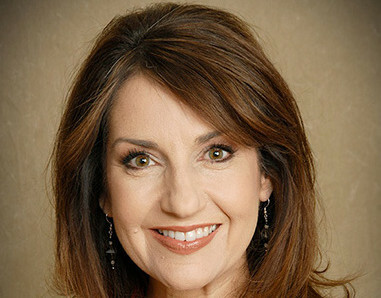 Hofmeister obtained a bachelor’s degree in education from Texas Christian University and holds teaching certificates in English and elementary education. She is earning her master’s degree in education administration with a specialty in education policy and law from the University of Oklahoma. Hofmeister served as an officer for the Jenks Public Schools Foundation board of directors, the select committee for the study of school finance and other committees within the Jenks Public School District. She and her husband live in Tulsa.